First of all, I wish you all a Happy New Year, full of joy, happiness, and many tasty food experiences! After all the sweet treats devoured during the last month, I’m back to my bread baking. You all know that I love any kind of bread, mainly because it’s a part of my culture (and because it’s so good!). Today I prepared some Piadina, a flat bread originally from Italy. Simple, rustic and very good especially when still warm. If you want to know more about this delicious bread and the particularity of the name of Romagnola visit this page, my inspiration for making this recipe! A big thank you to Angie from The Novice Gardener for this Fiesta Friday #101 and thanks to our co-host’s for this week Jhuls and Mr Fitz. In the mixing bowl of the stand mixer add the flour, the sugar, the salt and the baking powder. Pour the olive oil and mix. Pour the milk and mix on a high speed until the dough detaches from the bowl. Remove the dough from the bowl and wrap it with a plastic and put it in the fridge for 1 hour (during this 1 hour, you can prepare the ingredients for the stuffing). Cut off the top of the bell peppers. Cut in two and remove the ribs and seeds. In a large pan add a few drops of extra virgin olive oil and sauté on a medium heat the sliced bell peppers. When they are soft and tender removes them from the heat and set aside. Cut the dough into 4 balls. Flatten the 4 balls with a rolling pin as a round shape and set aside. Cook over a medium heat each Piadina into a nonstick pan (poke with a fork the top of the dough). When the bottom is golden brown, flip the Piadina and cook the other side. 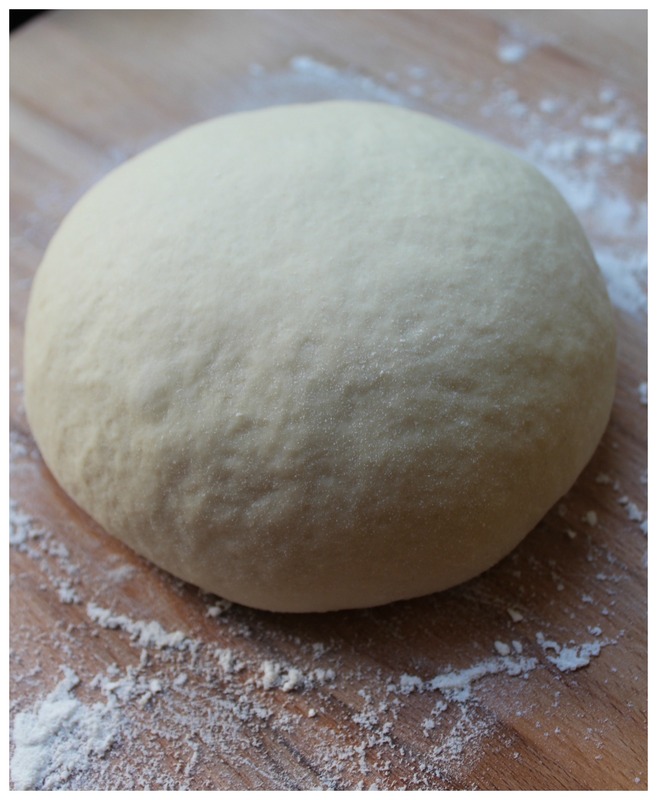 Proceed the same way for the rest of the dough. 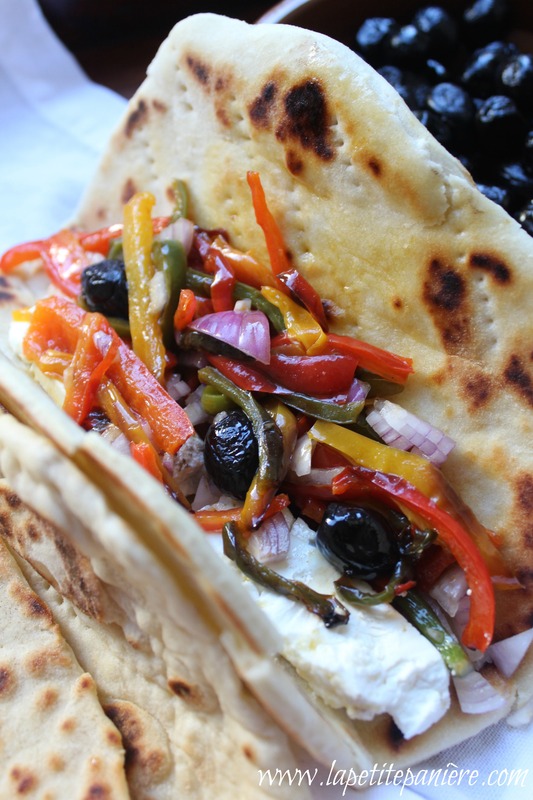 Stuff the warm Piadina with bell peppers, onion and feta (drizzle with olive oil) or with bell peppers, mozzarella, black olives. PS: You can stuff your Piadina’s with any toppings that you like!! Happy New Year to you Linda. 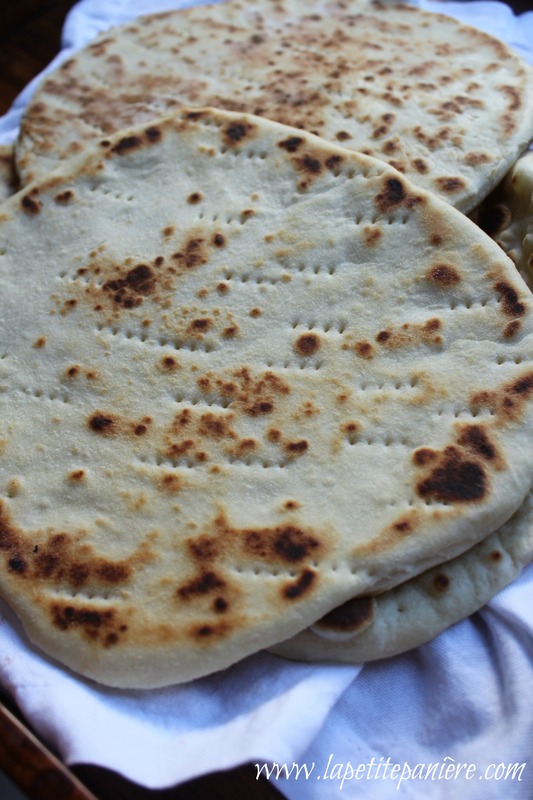 These flat breads look so much like naan, and other breads that I’ve seen around, but I was not familiar with piadina romagnola. I love the picture with the peppers, so colorful and appetizing. Thanks for introducing me to this bread – enjoy Fiesta Friday and enjoy the weekend. This is just perfect recipe for a bread that can be used as a wrap without being soggy! Loved all of it! Happy New Year to you too Linda!! These look so very delicious! Happy FF! I hadn’t heard of these but they look great – must try! These look lovely 🙂 Happy New year to you too Linda! The bread and filling sound delicious. Must try it out sometime. Wishing you and your family a happy New Year, Linda! Lovely bread Linda! The filling is so full of colours–I’d love to try it even when I don’t have some freshly made bread ready. Your blog always introduces me to something new and delicious 🙂 Happy New Year! 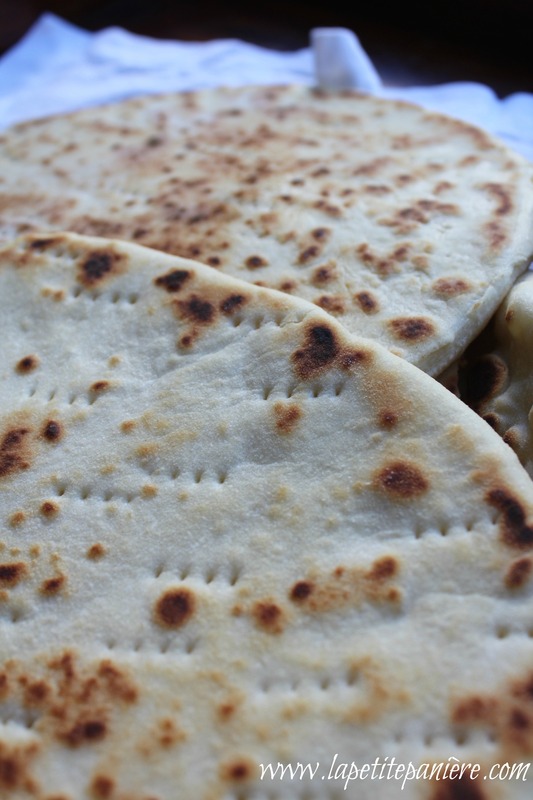 I love piadina, I have used another recipe which is more complicated I love how simple your recipes is and will definitely make this. I like to make lots of them and freeze them so I always have on hand. The filling with that beautiful bread is heavenly. Hello Linda and Happy New Year to you too! Delicious post, Linda! I could probably eat several of these! fantastic! thanks for sharing at ff101! Happy New year! these look so good and they work well with almost any filling or as a side. It’s a perfect go-to recipe. Beautiful photos as always! As Salaamu Alaykum Linda, I love Italian food, infact it’s almost an every day occurrence in one form or another. Pizza, pasta etc are the our obvious faves and I’ve got a classic soup coming to my blog soon in shaa Allah. I definitely want to try more Italian dishes that aren’t as famous and these flatbread sandwiches looks like a great way to start. Jazaaki Allahu khayran for the recipe. These look perfect! Thank you!